Remember the puzzle title Swirl on the SEGA Genesis? This game has some similarities! 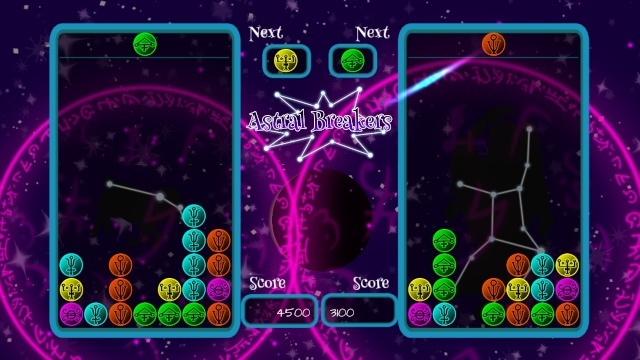 Developed and published by Intropy Games, Astral Breakers is an unusual puzzler with a mishmash of different elements, but is the game as good as it sounds? Keep reading to find out! In Astral Breakers you must clear marbles by making matches, but you can only make matches with special charged shots that don't occur on every shot. In-terms of gameplay Astral Breakers feels like a cross between several classic titles in the genre including Bust A Move, Puyo Puyo, Columns, and Swirl. These elements blend together perfectly to make Astral Breakers a highly enjoyable experience for all fans of the puzzle genre! The game also has a create a constellation mode where you can basically create your own stages/characters which is a great feature while the multiplayer is great fun for all ages! The game also has a huge selection of supported controls including the Wii U Gamepad, Wii U Pro Controller, and the Wii Classic Controller Pro which is a nice addition to the game. Astral Breakers also has optional touch controls when using the Wii U Gamepad and the Off-TV-Play works flawlessly. The controls are straightforward and intuitive as well. This is the best marble/gem-matching puzzle title currently available on the Wii U eShop, hands-down! The graphics in the game are pretty basic, though they get the job done, while the music and sound effects are really good and fit the game really well! Overall the game's audio-visual presentation is quite solid! 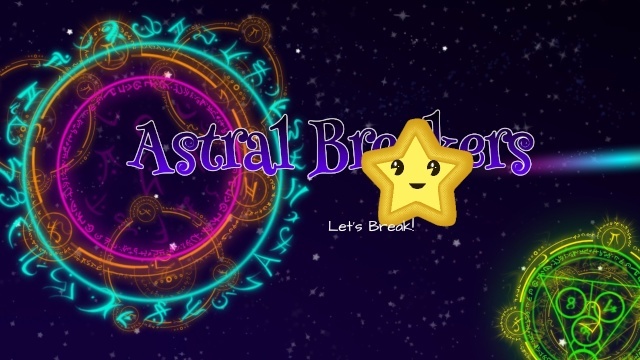 With fantastic gameplay, excellent controls, a wide range of supported controllers, and pretty good soundtrack Astral Breakers is a great game that is definitely worth looking into. The only drawback is the game's so-so graphics, but that is only a very minor complaint! Overall we give this game a high-level of recommendation! Our review is now live!!! I didn't particularly enjoy this game. All the same, good review.